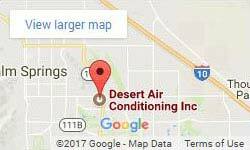 When you need services for your AC system in Palm Desert, you need an air conditioning contractor. You might have just moved in, or maybe you’ve never had an issue that required one before. So what does an AC contractor in Palm Desert do? What does their training prepare them for, and why should you hire one. We’ll cover all of this and more, leaving you prepared to ask the right questions and get the services you need without the run-around. An AC contractor is trained to perform installations, repairs, and maintenance of AC systems. You might think it doesn’t sound like a lot, but you haven’t considered the number of manufacturers and different environments that AC systems are used in. Here are some examples of how that training comes into play. A new homeowner has just purchased a home at auction. The AC system was trashed by the previous owner. What new system should they install? Are you living here, renting the property, or planning to flip it? This establishes budgetary constraints. Investing in a high-efficiency AC system provides much better returns over-time. For short-term gains, the property owner is better off investing in a system with a cheaper upfront cost. Does the property already have a ducted system? If the home previously used ducts, the contractor can inspect the system. Depending on the duct material (steel or aluminum being most common) the smartest option may be to clean and repair the ducts while installing a new forced air system. Without ducts, a mini-split system makes the most sense, but only on a larger property where individual cooling of rooms will save energy. Does the property have any AC system at all? If the home or office was never outfitted with an AC system, a ducted system isn’t always the best choice. These are typically installed when a building is being built. That allows the AC contractor to hide the ductwork. Because split systems use pipes inside the walls, they are perfect for retrofits. The upfront cost is typically more expensive, but individual room cooling and heating provide long-term savings. Where does an air conditioning contractor source their systems? AC contractors work with local equipment suppliers. Every contractor has preferred brands. That’s because they’ve worked with these units in the past and have seen firsthand what units have the most problems and which are the most reliable. Companies offer specific special pricing to contractors that they do not offer to the general public. Buying a unit at a big box store comes with a massive markup. With the big box store acting as a middleman and selling to anyone, they add on a surcharge in order to make a hefty profit. An AC contractor forgoes those large margins in favor of passing on their business to the customer. Once the unit leaves a big box store, the manufacturer is responsible for anything that goes wrong. An air conditioning contractor backs their own work, so it’s beneficial to them to provide customers with a lower price and choose units they know are the most reliable. Why have your AC system installed by a reputable contractor? Credentials matter. When you hire a certified air conditioning contractor to install your system you’re getting a number of implicit guarantees up front. 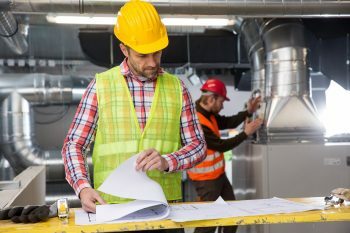 You can see how long a company has been in business, and determine the specific experience and credentials of the HVAC expert installing your unit. The unit and venting system will be installed correctly. This is crucial. Even a bad fitting between pieces of ductwork can hamper a system. If for any reason, an error occurs during installation, you know the HVAC company will repair it as part of the installation package. After a satisfactory installation, you now have a trusted local resource for AC maintenance and repairs should the need arise. Now that you know what makes an AC contractor a worthwhile investment, it’s time to decide on a unit type. Choosing the right air conditioner starts with research. We’ve made it easy, so look at the pro’s and con’s of each type to get a better idea of which system type is right for your property.